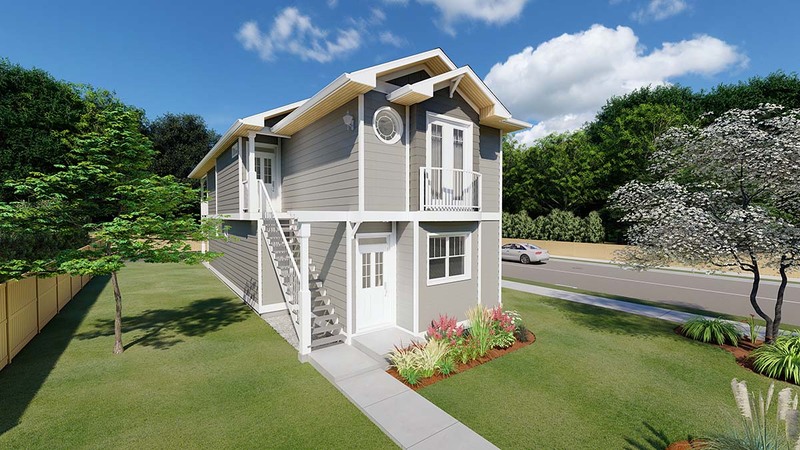 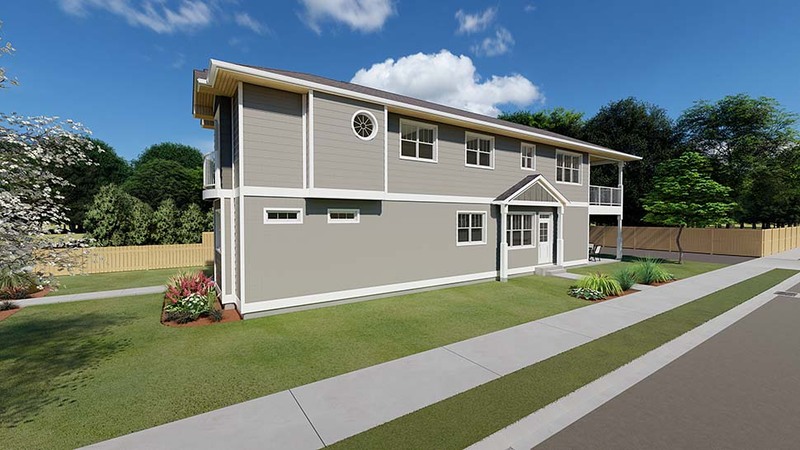 This duplex plan fits nicely onto a narrow lot and the attractive character gives it a unique charm. 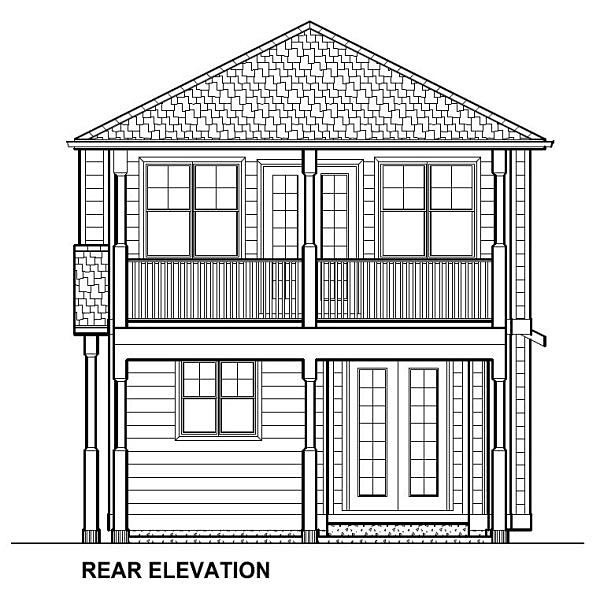 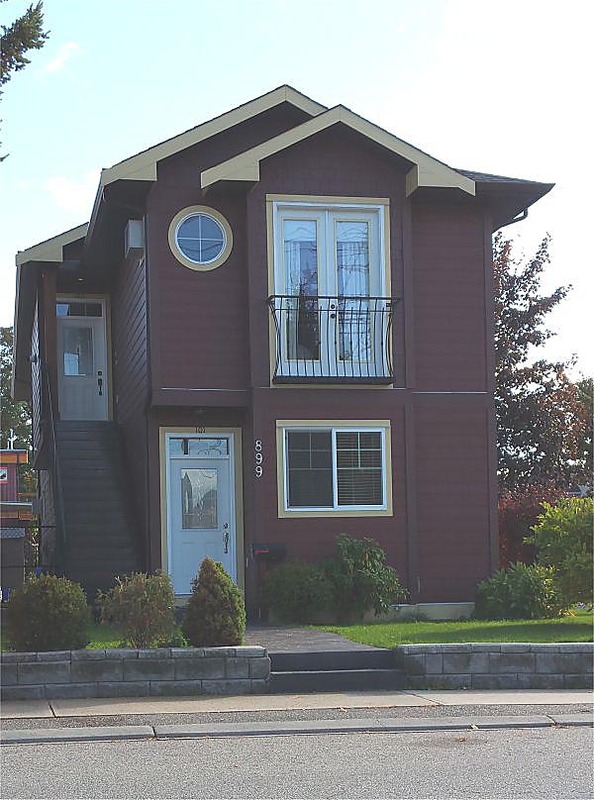 The upstairs unit features three bedrooms, the master bedroom having an en suite and walk-in closet. 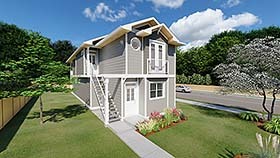 The lower unit has two bedrooms with a private bathroom, as well a powder room for company. 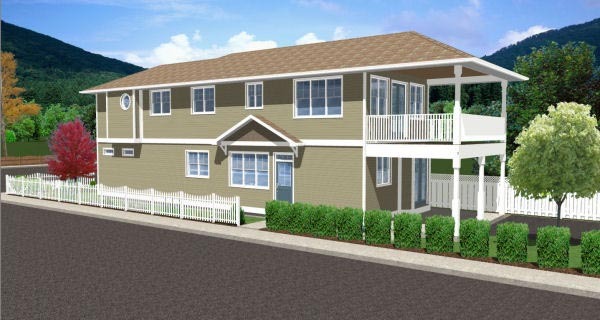 The large covered deck and patio at the rear of the duplex gives each unit their own private outdoor entertaining area.